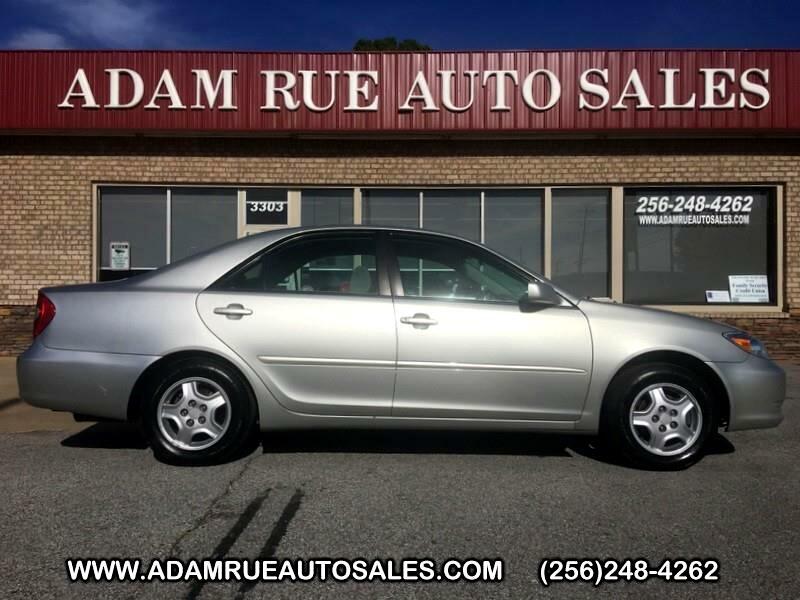 Thank you for visiting another one of Adam Rue Auto Sales's online listings! Please continue for more information on this 2003 Toyota Camry LE with 192,546mi. The Camry LE is well maintained and has just 192,546mi. This low amount of miles makes this vehicle incomparable to the competition. This vehicle won't last long, take it home today. The Toyota Camry LE will provide you with everything you have always wanted in a car -- Quality, Reliability, and Character. You can finally stop searching... You've found the one you've been looking for. Thank you for considering Adam Rue Auto Sales! We are proud you are here. Our dealership is focused on making your buying experience as pleasurable as possible. We understand how difficult it can be finding the perfect vehicle. Our staff has been in this business many years and are trained to be professional and courteous while assisting you. After all, you are the reason we are here. We want to be a little different than what you will find down the street. We stock quality vehicles and look forward to treating you like family.